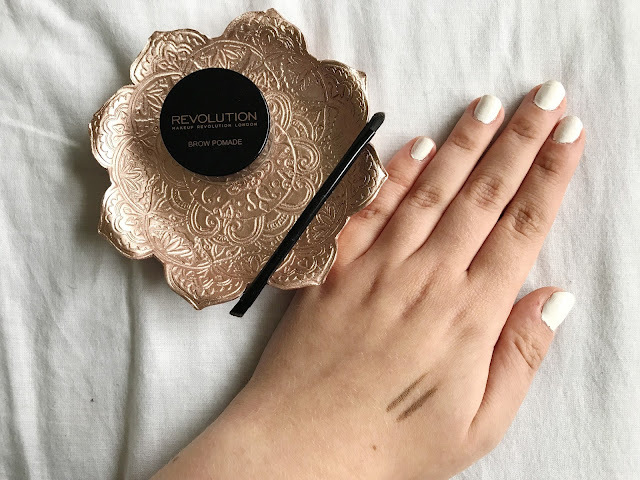 If you've been with me for a while, you'll know that not only do I love a good bargain but, in particular, I'm always on the hunt for a dip brow dupe so that I don't have to spend over £15 every time I need a new one! My best gal pal and fellow blogger Melissa suggested I try this one from Makeup Revolution. I got this from a local Superdrug and is modestly priced at £6. 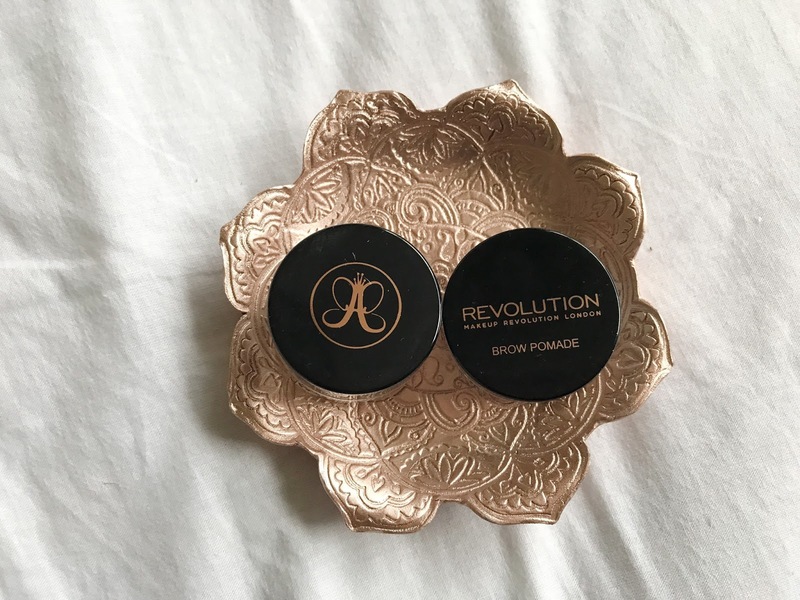 The packaging is practically identical to the Anastasia Beverly Hills version - right down to the rose gold text! 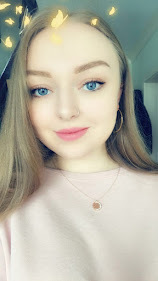 The range of colours is okay - but as I've found with products like this before, there tends to only be one light/blonde option (which can be risky depending on your colour blonde) and the rest are brown. There also doesn't seem to be anything for redheads. The pomade comes in 'blonde', 'soft brown', 'caramel brown', 'medium brown', 'chocolate', 'dark brown', 'ash brown' and 'graphite'. I got 'blonde', as that's what I'd usually pick up in ABH and the colour is perfect - these little swatches show how they're pretty much identical in colour payoff. The consistency is smooth and creamy, not much different from the high-end version, and a little product goes a long way which is great in terms of how long the product will last. The staying power of ABH dip brow for me is so far unrivalled, however the MUR pomade seems to have just about the same amount! I have not yet had to reapply at all throughout the day, even after a busy and sweaty day at work or even at a festival that I attended recently. 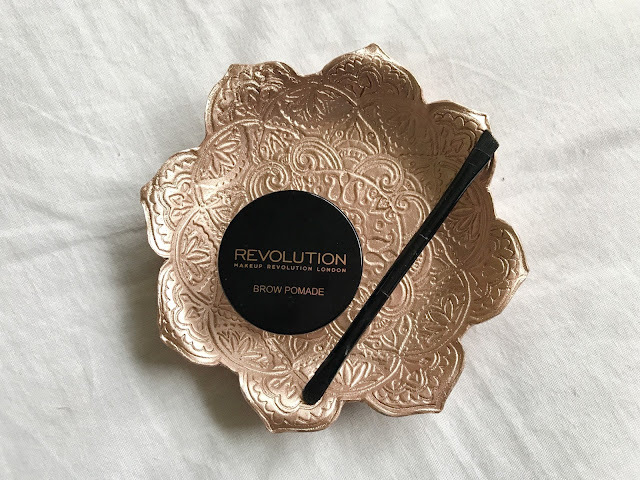 I always top my brows with a brow gel anyway which will help keep everything in place, but I'm pretty impressed with how long-lasting it is for a cheap alternative. The pomade does come with an angled brush but it's pretty tiny, which may be good for taking it on the go but I'm using my own brush with it instead. 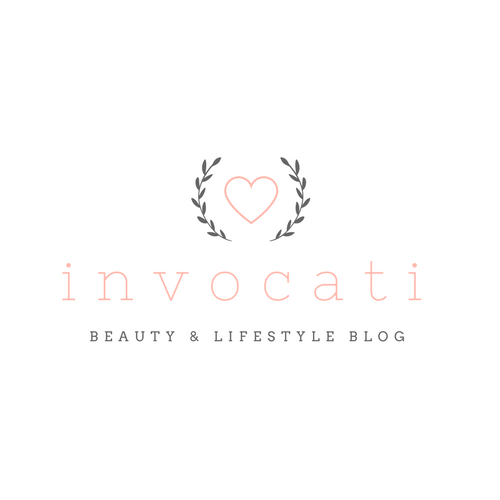 Overall, I have to say that I'm pretty floored by this product and wish I'd discovered it sooner! Although we all love to treat ourself to something high-end sometimes, I honestly am not sure whether I'd ever fork out £15 for Anastasia's version again when there's a great drugstore dupe out there for under half the price. 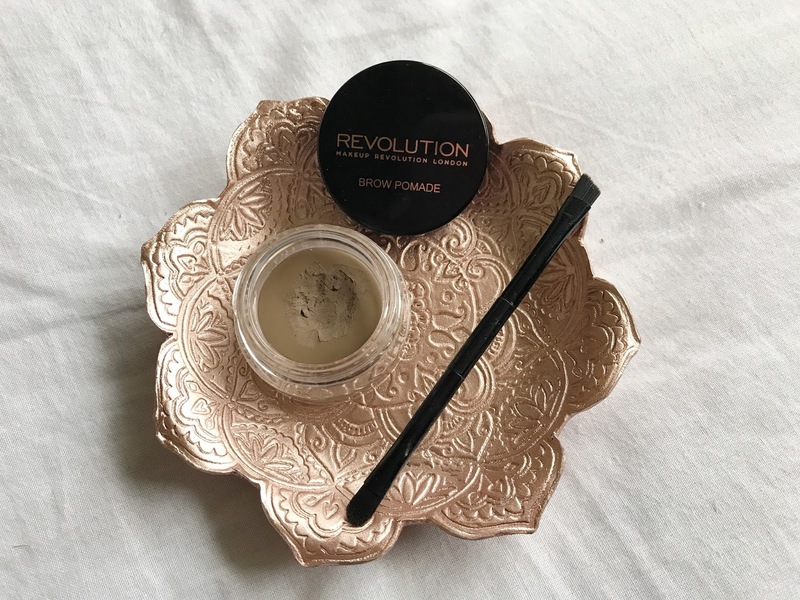 Have you tried the Makeup Revolution brow pomade before? What are your thoughts on it versus Anastasia's dip brow?